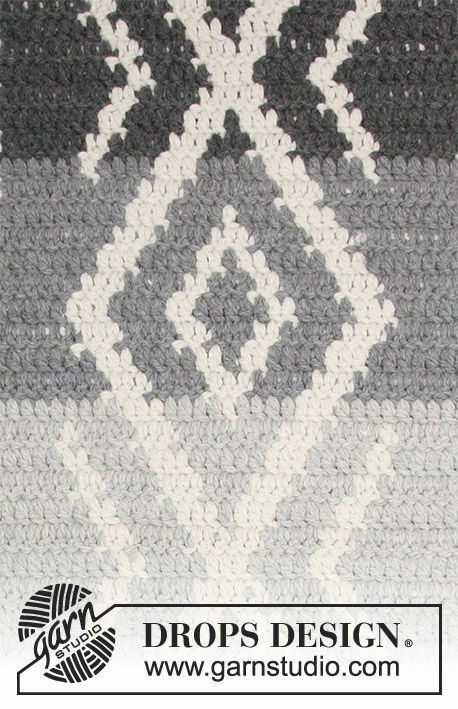 Crochet rug Grey Jacquard. 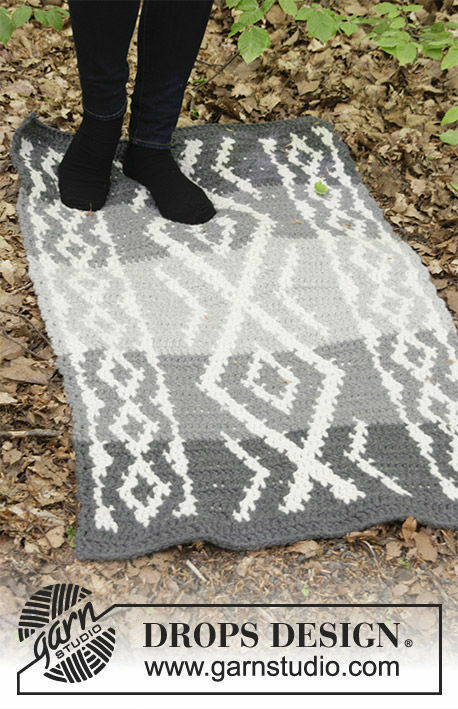 Free pattern (Shapes: rectangle; one piece). 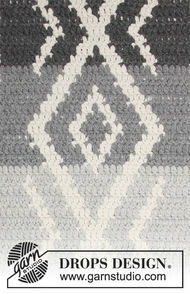 Width: 70 cm. Length: 106 cm.